Fun, Popular, Great Colors, 3 sizes. Wristbands, Wristbands, Wristbands. 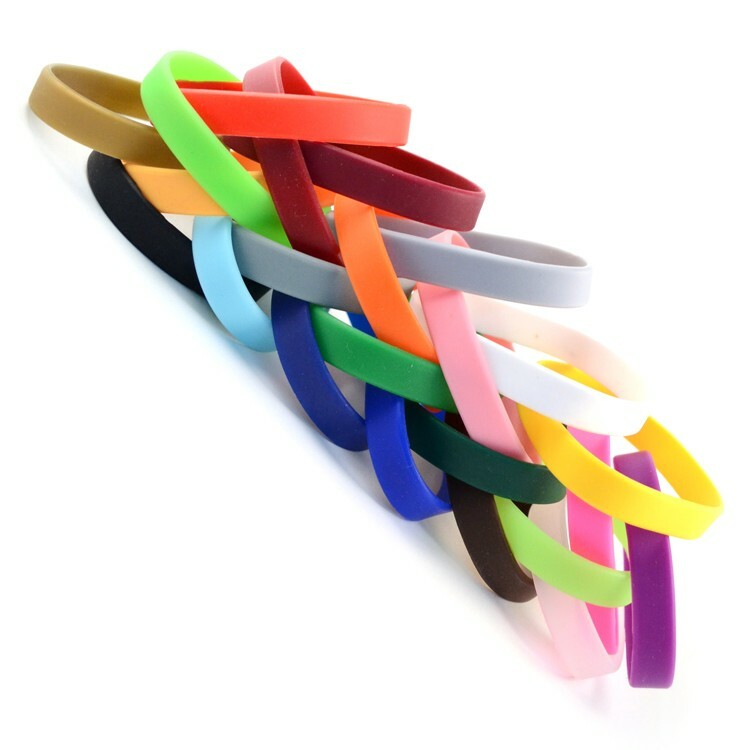 These plain rubber bracelets are great value for identification (id) for schools, churches, organizations of all kinds. 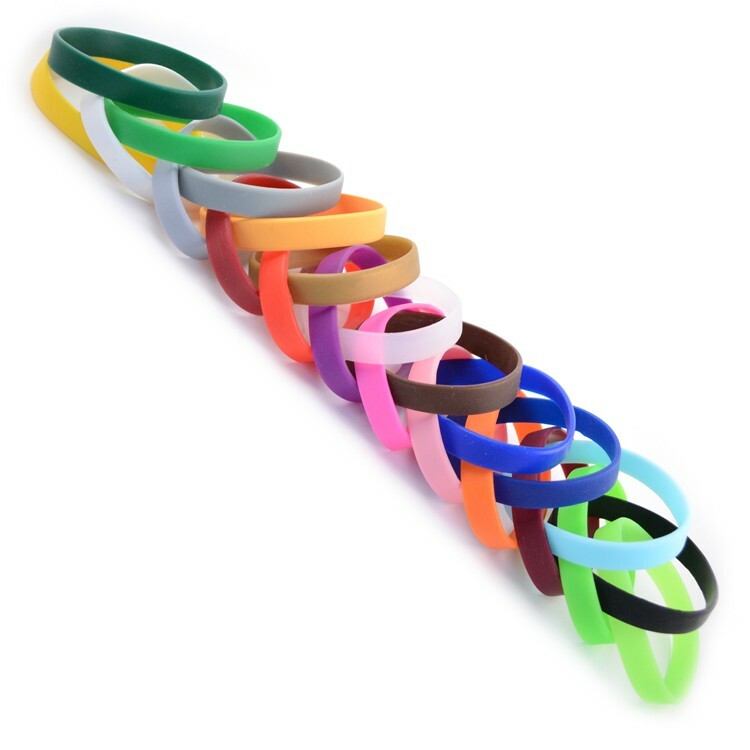 1/2" x S - 7" / M - 8" (average) / L - 8.25"
Assort sizes and colors in groups of 100.